In some cases, modern cosmetic methods are so gentle that you may not need anesthetic at all. A great example is porcelain veneers in Fayetteville. They’re a popular option for treating problems like stains, minor chipping, unevenness, or wide gaps between teeth. In many cases, the treatment process is so comfortable that anesthetic isn’t needed. Of course, your dentist will be glad to administer a mild dosage of anti-pain medication if you prefer. Be sure to discuss this topic with him or her during your appointment. Your well-being always takes top priority. Sedation Dentistry: Why Not Just Sleep through It? Imagine taking a refreshing nap and waking up with more beautiful teeth. That’s exactly what you can expect when you choose sedation dentistry. You’ll receive a mild tranquilizer to help you relax. Most patients simply drift off into a restful sleep and wake up with an enhanced smile. The answer to this question depends on the type of sedation you and your dentist decide upon. Many treatments require only a light dose of nitrous oxide, commonly referred to as “laughing gas.” Most patients are able to easily shake off the effects of nitrous oxide after treatment is complete. Occasionally, your cosmetic dentist in Fayetteville may recommend an oral sedative. This may be the best option for more involved forms of treatment. You will need to have a friend or family member drive you home after the procedure. The most advanced form of sedation dentistry is general anesthesia. You already know what this is like if you’ve undergone surgery. This option is usually reserved for advanced procedures such as major restorative work. As with oral sedation, you will require transportation after you wake up. You may also be slightly groggy for a day or two after treatment. Dental medicine has been around in one form or another for thousands of years. This long history gives dentists a wealth of data from which to draw. Unfortunately, it has also led to a lot of antiquated or inaccurate information floating around. 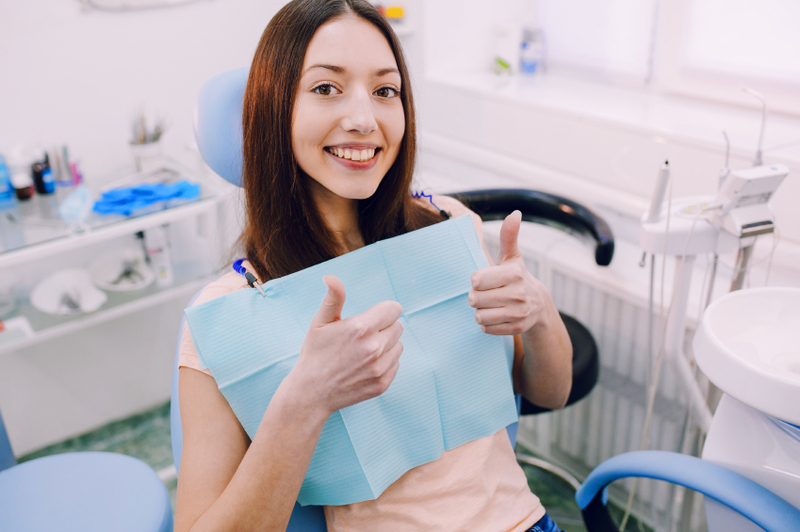 A good rule of thumb is to address any concerns you have to your sedation dentist in Fayetteville. Modern cosmetic dentistry is not only safe and effective but gentle and comfortable as well. So don’t let fears based on old misconceptions keep you from enjoying a better life. We wish you lots of happy smiles throughout the new year and beyond. Dr. Angela Ruff has been our neighbor here in the Fayetteville area for more than 30 years. Dr. Ruff earned her DDS degree from the University of North Carolina at Chapel Hill. She’s skilled in both general and cosmetic dentistry procedures. You can reach her office online or by calling (910) 630-6199.